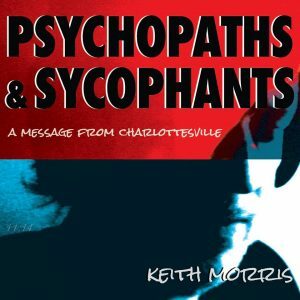 Keith Morris & The Crooked Numbers – Psychopaths & Sycophants – Album Review | The Ark of Music – The best music in the world…you never knew existed. 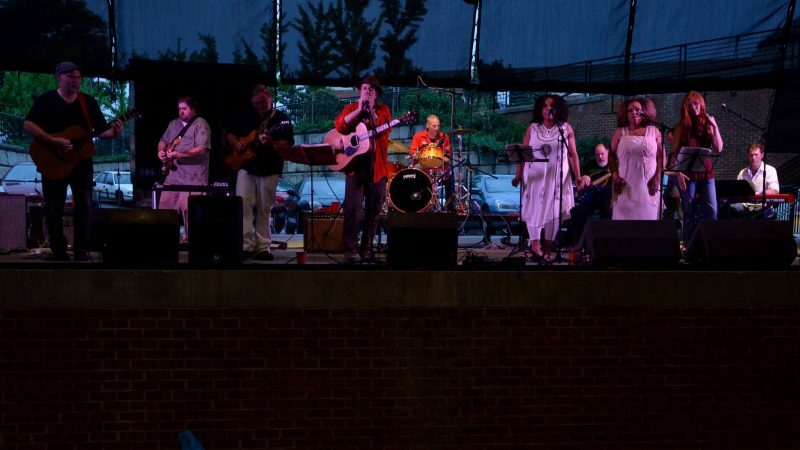 Charlottesville, Virginia’s own folk/rock Americana singer-songwriter, Keith Morris, was just one of very many who found themselves stunned and in shock in the wake of the chaos and violence that erupted there just last August. And, after enough time and reflection had passed, he did what any veteran artist does—he made an album. While his previous efforts (which include 2012’s Love Wounds & Mars, and 2015’s The Dirty Gospel) are no strangers to depth and emotion, he and his band of Crooked Numbers have, to no surprise, created something altogether different with their latest album, Psychopaths & Sycophants, an emotional, gutsy collection of songs, laden with fierce social and political commentary, which Morris himself has dubbed, the “paradigm of fascism.” That said, if politics and the like are typically not your thing, please don’t let Keith’s words scare you or dissolve your interest; this man can write songs, and the project is worth your time. Nothing less than a surreal and soulful, jazzy re-make of the original song that first appeared as a blazing rocker on The Dirty Gospel, the album title track, Psychopaths & Sycophants, has a new vibe and more poignant delivery. Dedicated to the young woman who was killed in Charlottesville on that fateful day last year, and named for the percentage of the respective political party which agreed that the people of Charlottesville had responsibility in the matter, 67%, is one small town’s cry to their own countrymen… for help. Immediately reminiscent of one Cat Stevens, don’t be fooled by the gentle, finger-picked melody-line of Charlottesville By Name, as this track quietly and clearly describes a witnessed hatred, and explores from where it might have come. The Neil Young-esque, The Narcissist, takes satirical shots at the heavily marketed, overly-glamorized, American dream; all while lulling listeners into a soft state of lap-steel bliss. Musically, Keith Morris & The Crooked Numbers’ latest album, Psychopaths & Sycophants, is full of lush melodies built of celestial lap steel tones, airy acoustics, and smooth vocal harmonies. Lyrically, Morris exorcises his far-from-figurative demons, whose recent historical accounting make them simultaneously too real to confront—or—ignore. The album is like cursing in French, a beautiful accounting of ugliness, a regrettable truth which becomes darker and more unbelievable in the telling—yet must be told, nonetheless. All in all, this collection of songs is professional grade art. The performance credits are, for all intents and purposes, flawless, as no player or part is ever more—or less—than it needs to be. The irony here, once again, is that all of the darkness and hatred, from the events that transpired in Charlottesville last August, are ultimately what inspired these nine beautiful tracks. That irony, too, must be recognized. For, this is the way the world works. BELOW: Watch/listen to music from Keith Morris & The Crooked Numbers’ album, Psychopaths & Sycophants, and connect with their website and social media platforms. Please support Keith Morris & The Crooked Numbers by visiting them online, and playing, downloading, and/or purchasing their music. And, as always, thank you for supporting real music!